an opportunity to display their skills. Our goal is fine tune their skills and give them a chance to pursue their dreams. Hundreds will enter the contest, but only 16 will be selected to compete. Who will it be? Rugby Player? Sumo Wrestler? Soccer Player? Cross Country Runner? Rock Climber, or could it be the Mixed Martial Artist? The athletes will be from all walks of life, and trying to get along with each other will be half the battle. * All Entries will be eligible for casting of reality TV Show! * Great Networking Opportunities and Publicity! Casting Call will be held on November 1 – 3, 2012 and will be held in the OPERATION FITNESS WORLD HEALTH EXPO at the Mandalay Bay Convention Center in Las Vegas. 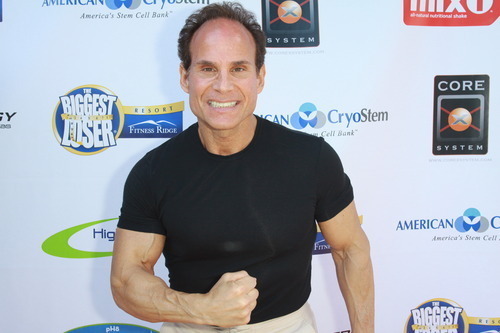 On Feb 25 2012 Michael Torchia president and founder of Operation Fitness held the Miss Century City Fitness contest at the Century City Mall. Operation Fitness was founded in 1985 and was created to educate and motivate the nation and to inspire people to lead healthier lives. 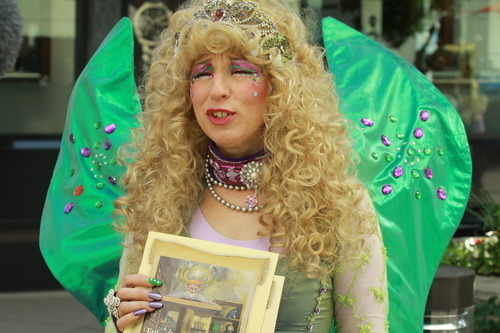 There was also entertainment including an actress dressed as a health fairy. The ambiance was uplifting with background music, and the red carpet provided for celebrities and fitness guests. Celebrity guests included : Lorenzo Lamas, Daniel Puder (MMA Undefeated Champion Fighter), Leroy Dixon and Rodney Martin (US Olympic Athletes), as well as Schuyler Yancey and Bryan Dattilo (stars of ‘Days of our Lives’). Fitness hopefuls went on the red carpet and were interviewed on camera for the fitness show that was being cast. The celebrity announcer for the contest was a comedic and entertaining addition to the event. There were also several demonstrations including hula hoop and exercise equipment provided by the vendors. The event started at 1130 am and ended at 500pm. 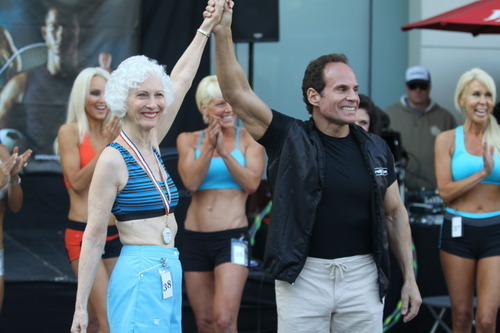 The fitness contest had two divisions an open division for the younger contenders and a masters division for women over 40. The oldest of the group of master division competitors was Lee Gale Gruen – 70 Years. Everyone loved her as they were so impressed with her bravery to compete in the contest. The crowd was delighted when she ended up winning the Miss Congeniality award which was a well-deserved title. There were some contestants that came in from other states to participate in the contest. The contest consisted of initial pre judging on how physically fit, presence, attractiveness, overall presentation and personality. The second portion of the contest included a question asked by the host to each contestant to better get the feel of the overall representation of the contestant. All of the contestants were lovely in their responses and showed their enthusiasm about the contest. The final segment of the contest consisted of the girls walking down to the judges and presenting themselves with fitness poses and back to the host where they were each asked a question, which accounted for one third of the score. The pageant winners are invited to guest appear at the Operation Fitness Expos across the country and featured in press material for future events. 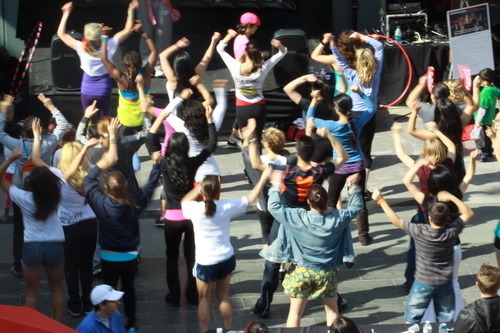 The next Fitness contests : The next Operation Fitness “FREE” Health Expo will take place at the Santa Monica Place Mall, Santa Monica, CA on May 13, 2012. Operation Fitness will be holding events in cities across the nation: MetLife Stadium, East Rutherford, New Jersey, June 23 – 24, 2012, Hynes Convention Center, Boston, MA. June 30 – July 1 and Miami Beach Convention Center, Miami, FLA. September 22 – 23, 2012. Operation Fitness produces health & fitness expos across the nation. Some of the events are held in conjunction with NBC 4 Your Health and the rest are in shopping malls, fair grounds and stadiums in major cities across the country. In addition, we have created a collegiate division of the Operation Fitness Campaign and starting in May 2012 we will be producing 2 day health & fitness expos at major universities across the nation and offer exciting sports/fitness activities that are very appealing to the students. In 2001, Operation Fitness launched a campaign to create a healthier nation and the operation fitness team travel to major cities across the country producing free health & fitness events. Over the years Operation Fitness has helped millions of Americans lead healthier lives and the movement is growing stronger every day. Operation Fitness offers something for every member of the family including: free health screenings, fitness demonstrations for children and adults, nutrition lectures, motivational speakers, life coaching, healthy cooking demonstrations/healthy shopping tips, athletic competitions, strength challenges, dance performances, martial arts classes, bullying prevention lectures and free product giveaways. Obstacle course challenges for the kids and adults are offered, along with a variety of information and products for pet owners and animal lovers alike. In addition, renowned fitness celebrities are honored for the impact they have made to the health and well-being of our nation. The Operation Fitness Expos provide a unique opportunity for health practitioners, exhibitors, sponsors, nonprofit groups, and city, county, state and federal agencies to reach a well-informed, intelligent, and open-minded audience; showcase their programs, products and services, and present their campaigns and ideas to the public. Participation in these events brand participating companies as leaders in the health and fitness industry and will leave a strong impression of their brands in the minds of our attendees. Sponsors and exhibitors have an incredible presence at our expos. In conjunction with an exhibition stand, companies will not only have optimum exposure, but also the opportunity for delegates to meet their team to find out more about their roles and business opportunities in this sector. The lectures series are led by leaders and innovators who can provide the crucial information needed to change the health of our nation. “Every day we need to inspire people to make healthier food choices and be more active. The Heart Health Stamp is a great way to remind us of that, because it not only shares valuable information but it also is symbolic of how people to should utilize the environment as their gym,” said Michael Torchia host of Issue Ceremony during the event lives.